Matt Hancock is continuing to push for better technological advancements across the UK – starting with the simplest elements, like cutting paper and fax, in favour of e-mail. Hancock outlined an ambition for healthcare staff to email patients directly with information on appointments to reduce delays, boost cyber security and cut wastage. NHS organisations will be able to use any secure email provider – not just NHSMail – if it meets the required security settings. Digital services and IT systems will soon have to meet a clear set of open standards to ensure they can talk to each other across organisational boundaries, creating standardisation across the health service. Any system that does not meet these standards will be phased out. Hancock announced a ban on fax machines in December 2018. They have, subsequently, been removed from the NHS Supply Chain so trusts can no longer buy them. Hancock said: “Having to deal with outdated technology is hugely frustrating for staff and patients alike – and in many cases downright dangerous. A letter lost in the post could be the difference between life and death. “We have signalled the end of archaic fax machines in hospitals and GP practices, and as of this year the NHS will no longer buy them. Our mission now is to make it as easy as possible for GPs to communicate safely and securely with their patients and colleagues. 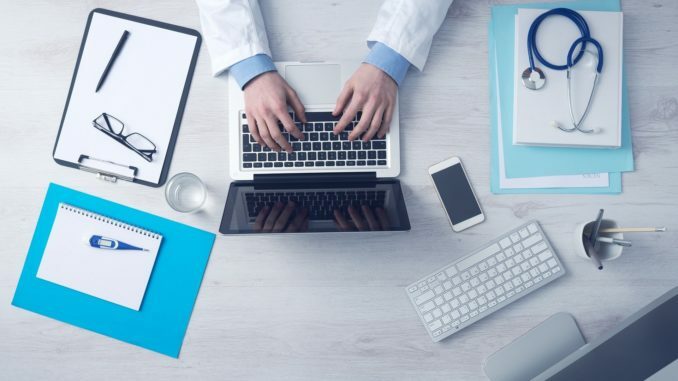 “There is no reason why a doctor cannot email a patient confidentially, for example with their test results or prescription, rather than make them wait days for a letter or ask them to come into the surgery. “Last year, work undertaken for the RCS’s Commission on the Future of Surgery revealed that NHS hospital trusts own over 8,000 fax machines. This is ludicrous. “We know that digital technologies, such as artificial intelligence, genomics and imaging for healthcare, are going to play an increasingly important role in how we deliver patient care. Should we screen people for irregular heartbeat?